An impressive specification on paper, but it fails to deliver in the real world. 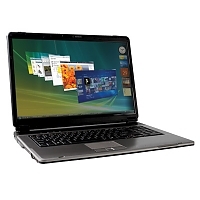 PC Nextday is a UK manufacturer known for its well-specified yet affordable laptops. The Zoostorm Versa 83-6701 has an impressive specification but fails to deliver in performance. While the Zoostorm Versa 83-6701 looks great on paper, it unfortunately fails to deliver in too many areas. It succeeds as an affordable, entry-level media centre, but its low performance and limited extras mean there are many better options on the market.